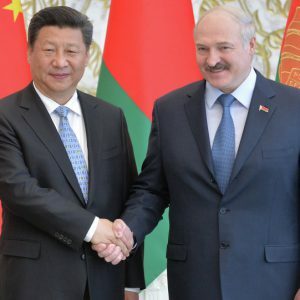 BelarusDigest > All > What does Belarus want from China? On 16 May 2017, Alexander Lukashenka concluded a three day visit to the People’s Republic of China, where he met with Chinese leader Xi Jinping and took part in the One belt, One Road International Forum. Earlier, from 24 to 26 April, head of the Belarusian Security Council Stanislaŭ Zaś visited China to discuss several issues with important Chinese defence officials. This is yet more evidence of the Belarusian authorities’ strong interest in building a strategic partnership with China. Belarusian authorities constantly allude to the strategic nature of relations between Belarus and China. On 4 May 2017, President Lukashenka even gave a special press-conference to the Chinese media, in which he once again highlighted the close ties between the two countries. However, whether Beijing is of the same opinion is dubious, especially given the political situation in Belarus and Minsk's relations with the European Union. After all, the Chinese are famous for their pragmatic approach to foreign policy. Nevertheless, China is actively cooperating with the the government in Minsk. Thus, the latest visit of a Belarusian delegation to Beijing, headed by Lukashenka, resulted in several significant agreements in the sphere of economics. On 15 May 2017, the Belarusian Minister of Agriculture and Food Leanid Zajac and the Minister of the State Administration of China on Quality Control, Inspection, and Quarantine Zhi Shupin signed an agreement allowing Belarusian beef on the Chinese market. The day before, representatives of Belarusian agricultural companies signed contacts on the supply of Belarusian dairy products to China, amounting to $13m. At the same time, the Ministry of Agriculture and Food of Belarus signed a protocol of intentions with the Chinese corporation DRex on direct investment in the Belarusian agricultural sector worth $1bn. Such cooperation is welcome in Belarus, where exports to Russia have been declining. It also functions as a sign to the Kremlin: Belarus is capable of finding a market for its food industry products should Russia continue pushing Belarusian products out. Presently, Moscow continues to use restrictions on Belarusian food products on the Russian market in order to put political pressure on Minsk. On 14 May 2017, Belarusian Deputy Finance Minister Jury Seliviorstaŭ announced a series of agreements with the Chinese on the implementation of three engineering projects worth more than $340m: the construction and development of the Amkadormash, Saleo-Homiel and Saleo-Kobryn enterprises. Two days later, Minister of Economy Uladzimir Zinoŭski met with the top management of China Railway Construction Corporation, which declared its intentions to participate in the building of high-speed railway in Belarus. Finally, on 16 May 2017, Xi Jinping announced the possibility of providing a $1bn loan to Belarus for the modernisation of oil refineries. Meanwhile, another four Chinese enterprises have become residents of the Belarusian-Chinese industrial park Great Stone on 15 May 2017. However, it would be premature to call this event a success or a guarantee of large-scale Chinese investment. According to an investigation conducted by the independent TV channel Belsat, only two companies are operating in the industrial park at the moment, despite the fact that the Belarusian government had announced much larger plans and perspectives. Initially, both sides planned for the park to become a Chinese industrial cluster situated in a strategic location – right at the border of the European Union. The project kicked off in 2010, when relations between Minsk and Brussels were much warmer, and some politicians and media sources even discussed the possibility of Belarus’s joining the EU in the foreseeable future. However, following the events of 19 December 2010 and the ensuing mass repression, the pace of development of the project woundd own significantly. It gained speed once again only after the detente in Belarusian-EU relations in 2014. Beijing sees Great Stone as a jumping-off point for an invasion of Chinese products in Europe. This is why the success of the project depends largely on Minsk's relationship with Brussels, as well as on the political stability of the country. 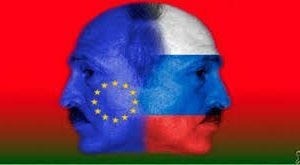 Should the current atmosphere of low trust between Europe and the Belarusian regime continue, Great Stone will survive only on paper and in the dreams of Belarusian officials. As Belarusian officials like to underline, 'Belarus plays the role of the door to the market of the Eurasian Economic Union'. But China has no need to enter this market from the back door – it is close enough to Russia itself and has no trouble selling Chinese products there. During his visit to China on 24-26 April 2017, Stanislaŭ Zaś met with Secretary of the Political and Legal Commission of the Central Committee of the Communist Party of China Meng Jianzhu, the Minister of Public Security Go Shengkun, the Minister of State Security Chen Wenqing, and the Minister of National Defense Chiang Wanquan. The sides discussed fighting international terrorism, extremism, illegal migration, and cross-border organised crime. They gave much attention to the further development of military-industrial cooperation and issues of information security. The latter is especially notable given the recent protests in Belarus and the regime’s failure to control the country's information space. The Belarusian authorities may be interested in studying the Chinese experience of moderating information and cyber-security measures, as well as in getting information about Chinese state-backed hacking groups. Meanwhile, the Belarusian missile programme, which uses Chinese technologies, is a good example of already existing cooperation. The MLRS Polonaise is the direct result of this partnership. The Belarusian authorities have repeatedly stated their desire to create their own operational-tactical missile system with the help of Beijing. Belarus launched this project after Russia refused to provide Minsk with its Iskander missile systems. Belarusian defence officials also mentioned cooperation in the UAV development, which could mean that the Belarusian military would finally obtain their own combat UAV. These facts show that relations between Belarus and China could develop further and be profitable for both sides. At the same time, the Belarusian authorities should understand that Beijing will not give Minsk preferential treatment in exchange for promises of loyalty and statements about 'brotherhood'. Whether Belarus can manage to attract Chinese investment depends largely on the image of Belarus on the international arena and its relations with the European Union. Only 5% of Belarusians want Belarus to become a part of Russia according to the fresh polling data by the Belarusian Analytical Workshop. Chris Miller sees Moscow’s plans to make Belarus a cornerstone of its Eurasian integration project as unsuccessful. Grigory Ioffe argues that realists winning the tug of war with idealists, both in the Belarusian government and in the opposition. The opposition is split on street protests tactics. Belarusization has not ended and even increased, argues Alieh Trusaŭ. This and more in the new edition of digest of Belarusian analytics. Belarus: Sitting on Two Chairs Is What the Doctor Ordered – Grigory Ioffe considers Belarus’ sitting-on-two-chairs foreign policy. The expert believes that there is no mischief, just a genuine desire to sustain itself as an independent state in a problematic neighbourhood known as the historical ‘bloodlands’. Realists Winning Tug of War Over Belarus – Grigory Ioffe observes the ascending realism in Belarus in the growing understanding domestically that a) so-called Eurasian integration is no universal master key, but rejecting it altogether is harmful and unrealistic; and b) improving relations with both the EU and the US is vital because the sources of technological progress and healthy economic strategies are in the West. Only 5% of Belarusians want Belarus to become a part of Russia. However, the Russian factor of impact on Belarus remains: 63% of the Belarusians positively assess the annexation of Crimea; the influence of Russian media on residents of Belarus is 60%. The fresh polling data by the Belarusian Analytical Workshop were announced at the round table, organised by the Minsk Dialogue expert initiative. Belarus and the Failure of the Russian World – Chris Miller sees Moscow’s plans to make Belarus a cornerstone of its Eurasian integration project as unsuccessful. Given its culture, history, and economy, no country is a more natural member of the ‘Russian world’ than Belarus. But over the past two years, no country has done more to demonstrate the weakness of Russian efforts to reestablish hegemony in the post-Soviet space. The Opposition Is Arguing About Street Tactics – Naviny.by analyses two current tactics of street activities of the Belarusian opposition – sanctioned and unauthorised actions – and concludes: in fact, there is no single solution. If, as a result of proper use of a particular political situation, the action turns out to be really mass, then, regardless of its status, it would become an important event on the political scene. Situation in the Field of National Security and Defence of Belarus. March 2017 – According to the monthly Belarus Security Blog, the most important event in March was a wave of repression by the authorities, which was characterised by extreme chaos. The Belarusian leader managed to choose the worst from all bad decisions in the field of domestic policy. It jeopardised the prospects for Belarus’ relations with the West. Belarusian Courts Don’t Speak In Belarusian On the Internet – Legal Transformation Centre Lawtrend releases a study, which highlights the current judiciary state and problems of communication of activities on its websites and outlines the possible ways to improve the situation. The researchers hope that the Supreme Court, that is to become a common portal for the entire judicial system, will take into account the study’s recommendations. Freedom Of Association And Legal Conditions For Non-Commercial Organisations in Belarus in 2016 – Legal Transformation Centre and Assembly of Pro-Democratic NGOs release an annual review which highlights the most important trends and developments related to the public associations and other forms of civil society in Belarus in 2016. Namely, the authors notice a trend of switching of CSOs to fundraise money inside the country. Popular Myths About the Belarusian Economy – Grigory Ioffe analyses some common stereotypes of the Belarusian economy. For example, it is true that Belarusian state-run enterprises produce a larger fraction of the country’s gross domestic product compared to its post-Soviet neighbours. However, Belarus significantly outperforms Russia and Ukraine on social indicators such as morbidity, mortality and social infrastructure. Belarusisation Has Not Ended and Even Increased – Alieh Trusaŭ, Chairperson of the Society of Belarusian language believes that dispersal of Belarusian protests in February and March did not affect Belarusisation – on the contrary, it started to grow: a Belarusian-language band presented the country at the Eurovision Song Contest, the number of hours in the Belarusian in school increased etc. Public procurement from a single source in Belarus: analysis and recommendations. The paper explores legal regulation of procurement from one source and procedures for their conduct, official statistics on public procurement, official information on procurement from a single source and public discussion of the issue. Since procurement from one source is one of the procedures of public procurement, the scope of this research includes legal regulation common for all procedures. During the analysis of the data the authors also focused on the interrelation of procurement issues from one source with other issues of legal regulation, including antitrust regulation, protection and development of market competition, antidumping policy during tenders and other. Monetary policy and financial stability in Belarus: current statе, challenges and prospects. This work is devoted to the current state of monetary policy and banking sector of Belarus. The paper shows that in the 4th quarter of 2016 – 1 quarter of 2017 significant changes in the monetary environment took place, the most important of which is the convergence of inflation expectations with actual inflation. Along with this favourable trend, a number of problems of the banking sector continue growing and threatening financial stability. Among them are bad debts and a systemic excess of liquidity in the banking system.